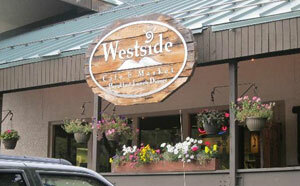 THE WESTSIDE CAFE SERVES EXTRAORDINARY FOOD IN AN AMAZING TOWN! Many thanks to all of our loyal guests that have joined us since 2002! Your unwavering support and feedback has made us who we are today.  The Westside sprang to life on December 24, 2002 with a desire to serve the community and have fun while doing it! Our goal is to exceed your expectations by providing the best comfort food and beverages for breakfast, lunch & dinner available anywhere. It’s why we’re here. 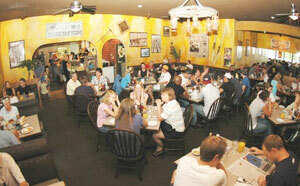 Our staff is renowned for their friendly, never say no attitude and great service. We seek to use locally sourced, fresh food when available to build our recipes from scratch, with love. Relax, smile and stay a while, we’ll take care of the rest. We’re happy to have you here. 50% Off Appetizers and Draft Beer – 4pm to 6pm – Thurs. to Sun.